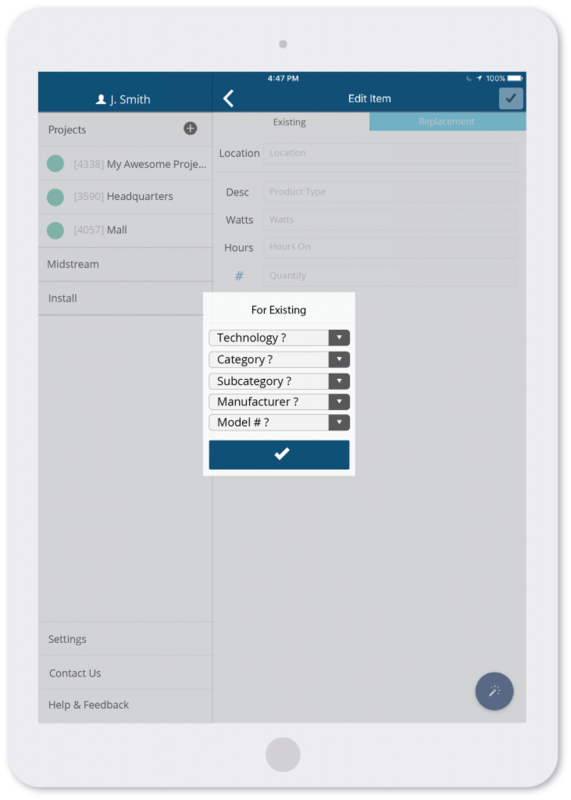 Get started with the Encentivizer Mobile App today. The best of Encentivizer and more on your smartphone or tablet. Work efficiently in the office or on the road. Powerful energy efficiency rebate intelligence and a seamless experience from desktop to mobile to manage all your energy efficiency projects. 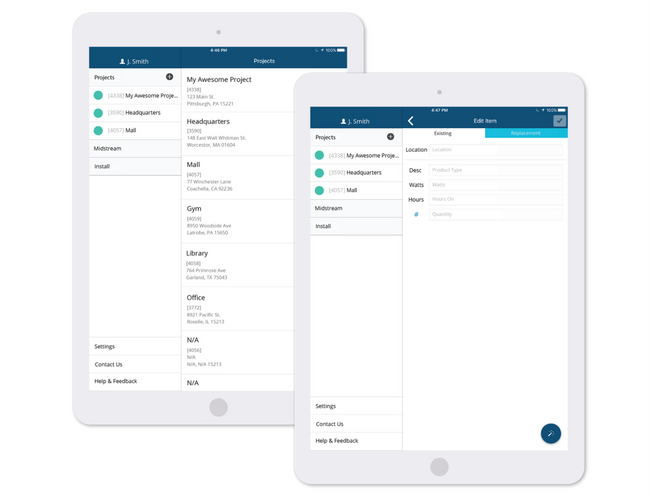 Get Program Awareness right at your fingertips. Awareness is conveniently located on the dashboard so you can quickly search by project zip code to get accurate utility rebate program details (program status, eligibility, measures, pre-approval and more) within seconds. Reduce errors associated with measurement and verification required by the utility company by using the digital counter that is linked to each product line on your project. Count fixtures more accurately and faster than ever, just tap and go. Easily select products that qualify for rebates. Save time having to validate whether or not the products you select qualify for rebates. With the product selector you can quickly add existing or replacement products that are already qualified. All product information is compiled for you and you will be ready to select the technology, category, subcategory, manufacturer and model number. 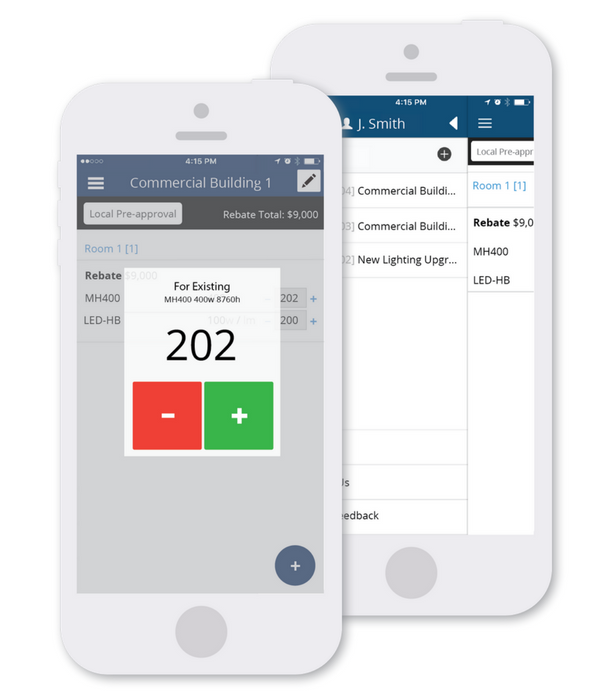 Get your rebate estimate in real-time. Do you ever wish that after you are finished walking a building and you are with your customer that you would be able to immediately provide them with rebate estimates for their project? Now you can. 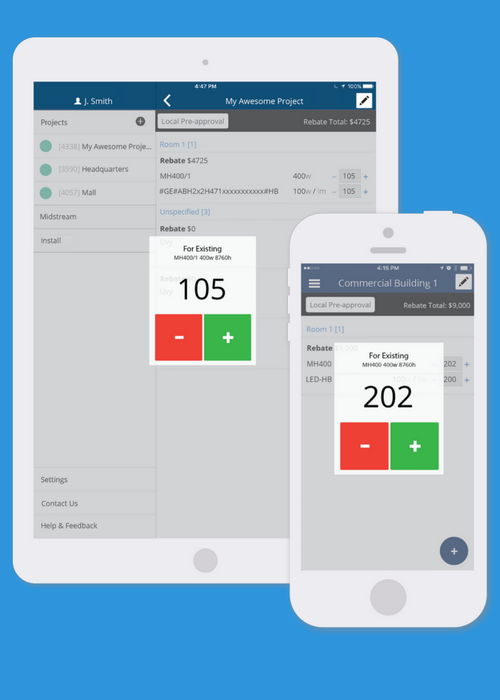 Get accurate rebate estimates in real-time on your mobile device while you are with your customers. 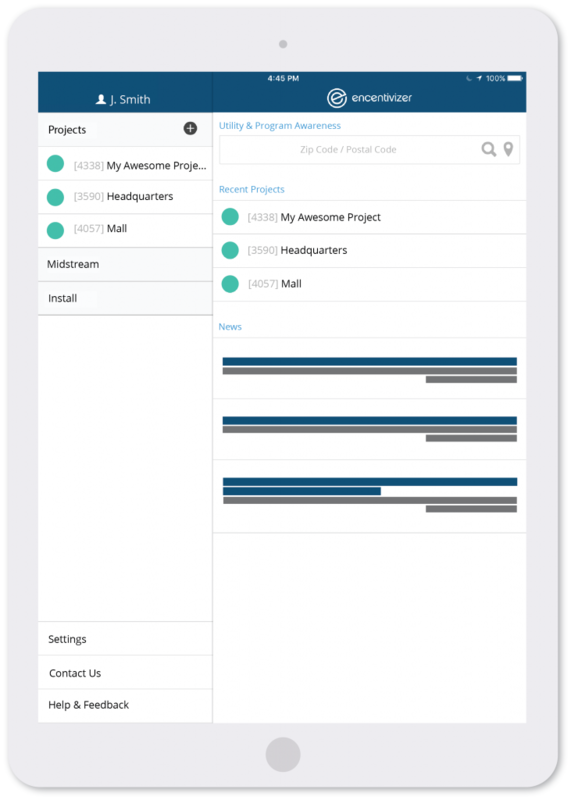 A pre populated utility application with customer and pre/post data is ready to share. 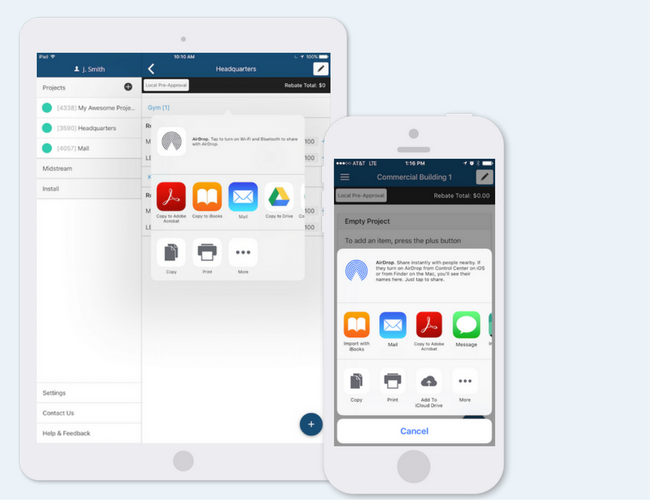 If you use services like Google Drive, Dropbox, or Adobe PDF it will allow you to share the application with customers, coworkers and more. Get feedback and collaborate prior to submitting the application for approval.